I hope everyone had a lovely Thanksgiving! Even though Black Friday may be over, the deals are still going on all weekend long at most retailers! Nordstrom is one of my favorite stores to shop at, and this weekend they are giving an extra 20% off of select sale items. 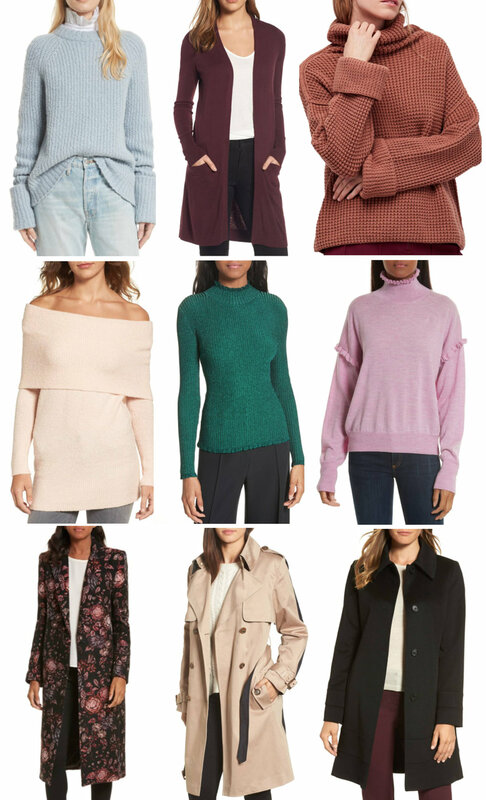 Today I've rounded up some of my favorite sweaters and coats on sale, and all of them are an extra 20% off! Stay tuned for more sale posts throughout the weekend :) Happy Shopping!